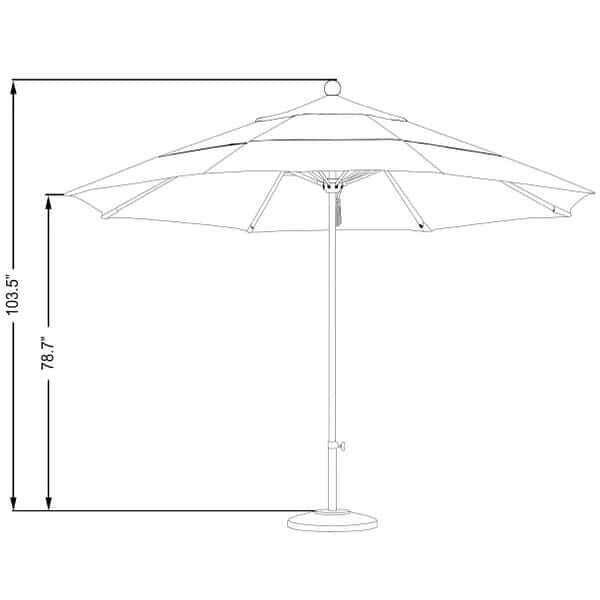 Impress guests and neighbors with one of the largest market Umbrellas available in the industry with the 11' Stainless Steel Market Umbrella from Leisure Select. This massive model is easy to use with a simple pulley lift to help you set the cover/canopy in the perfect position. 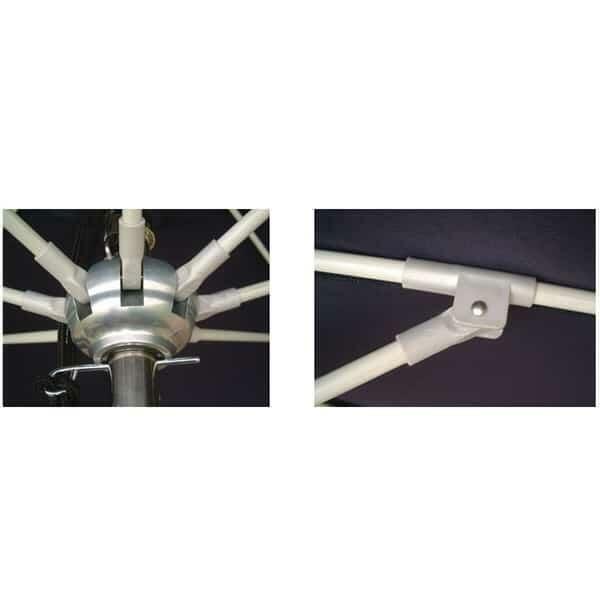 And attention has been paid to the details with an anodized steel pole, double wind vent and a premium offering of fabric colors, so your new umbrella is special and exceptional. Choose the best color to customize your cover/canopy by browsing through the drop down menus on the right hand side of this page. 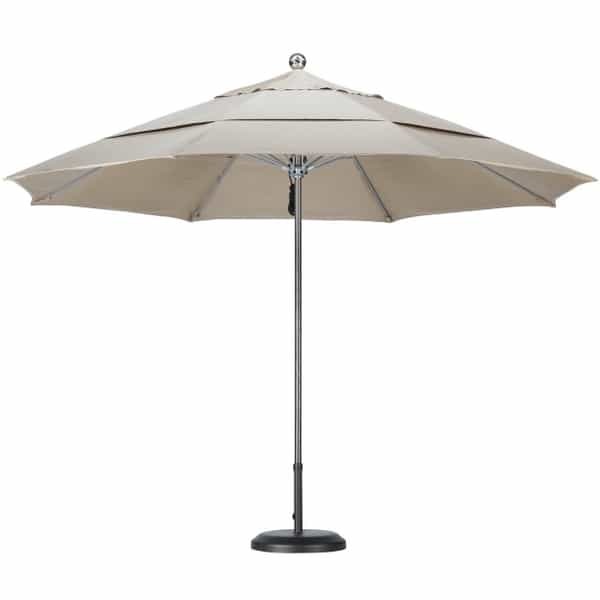 Your color choices include the Leisure Select standard fabric colors, premium Sunbrella A or super-premium Sunbrella AA fabrics!